One size should fit child, teen, or adult. Since we’re in the last few days of summer, and I could see this one being a popular back to school item, now seems like the perfect time to share! 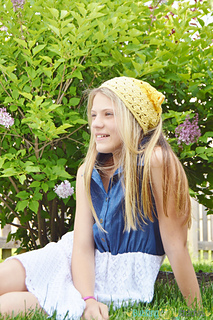 Thank you to Stacey of Busting Stitches for contributing this cute crochet bandana headband free pattern as part of the Melody’s Makings’ Guest Contributor Program!